TJ Cosgrove from Wood & Graphite and I are falling into a good pattern here, I think — I send him some raw video of an unboxing, and he makes it look good and publishes it! 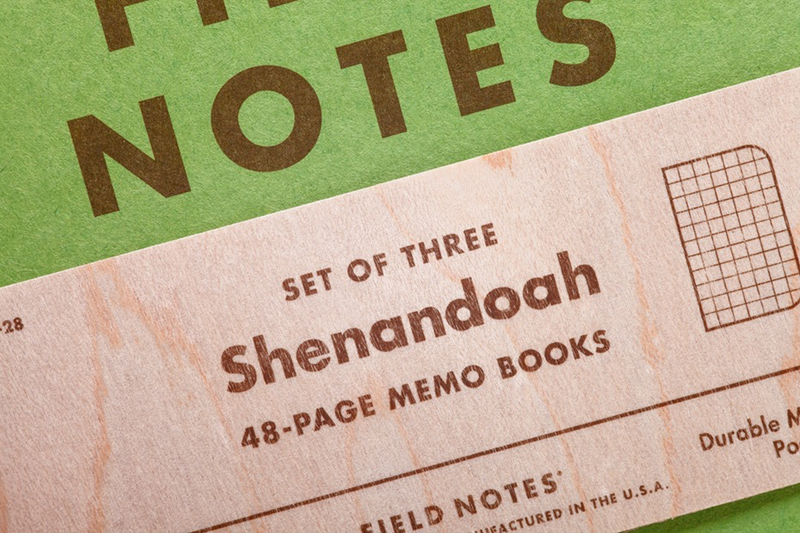 Here’s this month’s release of the newest Field Notes COLORS edition: Shenandoah. This is one of my favorites for a while, I think. I love the varying shades of green on the outside, with the brighter, “turned” colors duplexed on the inside. Time will tell how well that duplex holds together. This marks the first edition I’m using with my Field Notes Stuff Sheath to keep it nice in my back pocket. 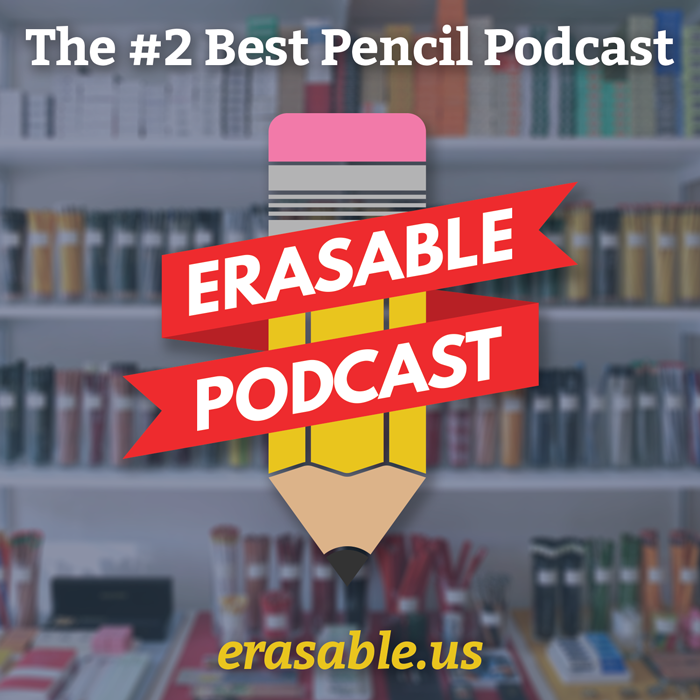 The paper, for pencil, is very nice. It’s a little thicker than the old #50 stock paper, but thinner than the thicker, fountain pen-friendly #70 usually found in the summer editions. My very favorite thing, though it’s kinda silly, is the belly band. They used a shaved wood on a substrate paper, like with Shelterwood and Cherry Wood, and that natural woodgrain with the green is just gorgeous. I think they captured the look and feel of autumn in the Shenandoah Valley really, really elegantly. This, to me, is why Field Notes stands out — great quality implementations of beautiful, simple themes. This edition finally got me to convert to a COLORS subscriber, in fact — for the next three releases, I’ll be getting a couple packs automatically, along with a goodie or two. I’m definitely excited about that. Buy a three-pack for $9.95 or subscribe, starting with this edition, at FieldNotesBrand.com.